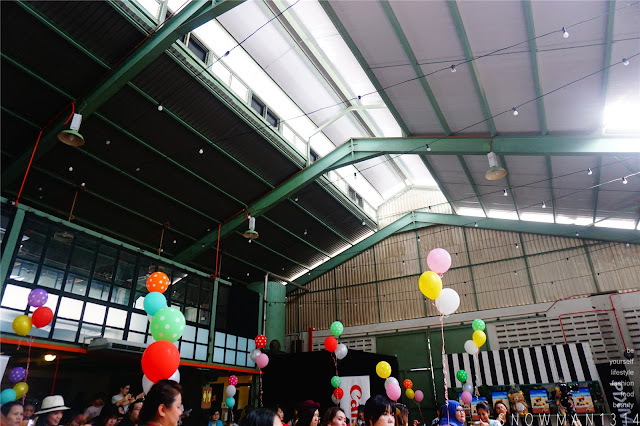 Hello guys, today will blog about a really fun and happy event I have join last few weeks. 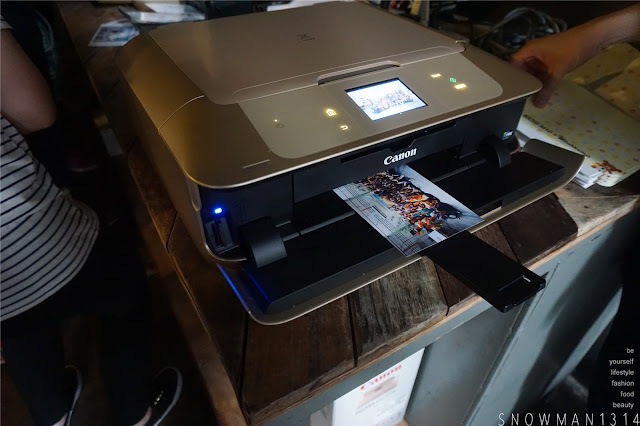 Thanks to Butterfly Project Malaysia and Canon Imaging Asia organise and invite me to this super fun filling event at Whup Whup Cafe. This time we not only have Canon Malaysia joining us but we have Rilakkuma here as well. 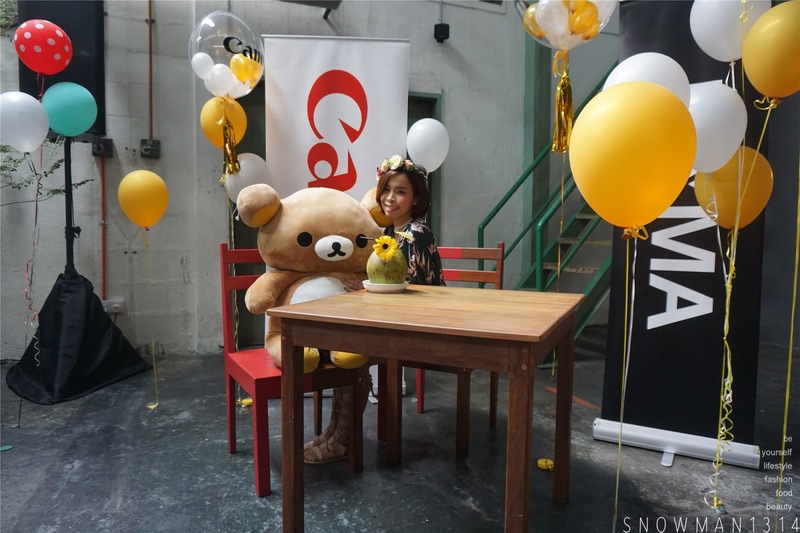 Now Canon has partnering with the much-loved Rilakkuma and joins the bandwagon by encouraging users to artistically incorporate the ToyTravel trend in their photos and at the same time, inspire creativity among social media users. To kick things off, users can now have Rilakkuma as their next travelling companion with Canon's special edition EOS M10 Box set, bundled with a limited edition 24cm Rilakkuma plush toy! What is actually ToyTravel? 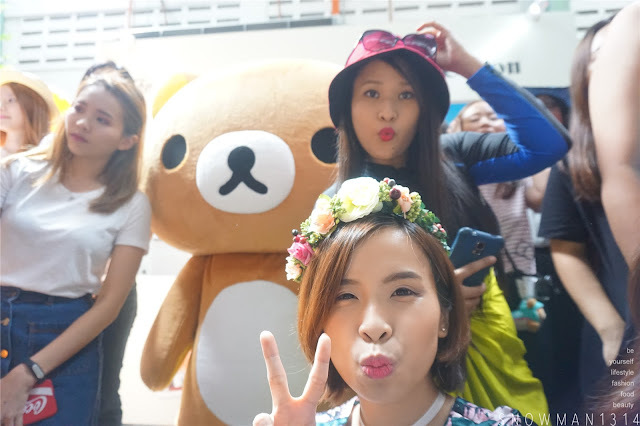 Will slowly explain to all of you while I bring back all of you to the event where I get the chance to take photo non stop with Rilakkuma and all my beloved butterflies who attend the event. Press Release and they have actually set up counter to enjoy the activities in this event. Briefing and Emcee of the day. "Combining Rilakkuma, a popular character, with Canon EOS M10, the lightest camera in the compact series, we hope to bring ToyTravel to every fun-loving social media user and photographer out there and make their next travel adventure a more memorable one. 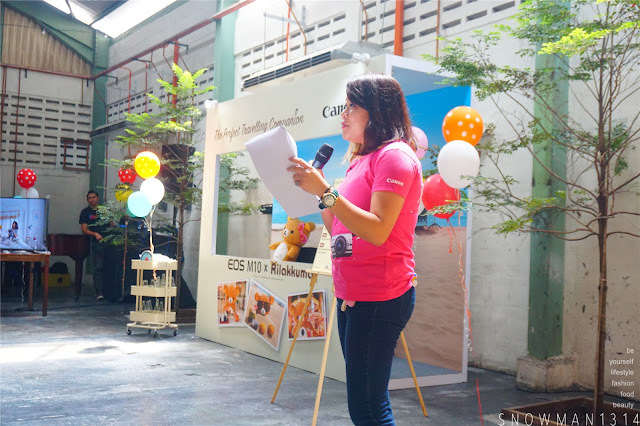 With the sleek and chic EOS M10, users will be able to capture superior quality photos and videos for sharing on social media platforms," said Sandy Lee, Senior Marketing Manager for Consumer Imaging and Information Division of Canon Marketing (Malaysia) Sdn. Bhd. 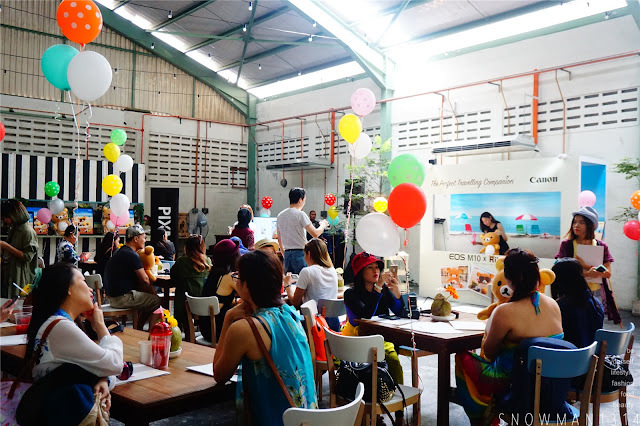 Love the setup of the cafe, they have colorful balloon as if we are in an enjoyable relax trip somewhere. We are required to wear our best Travel Outfit while attending this event too. After the briefing we have the real life Rilakkuma out! It was too cute and can't wait to really touch and hug this cute fella. 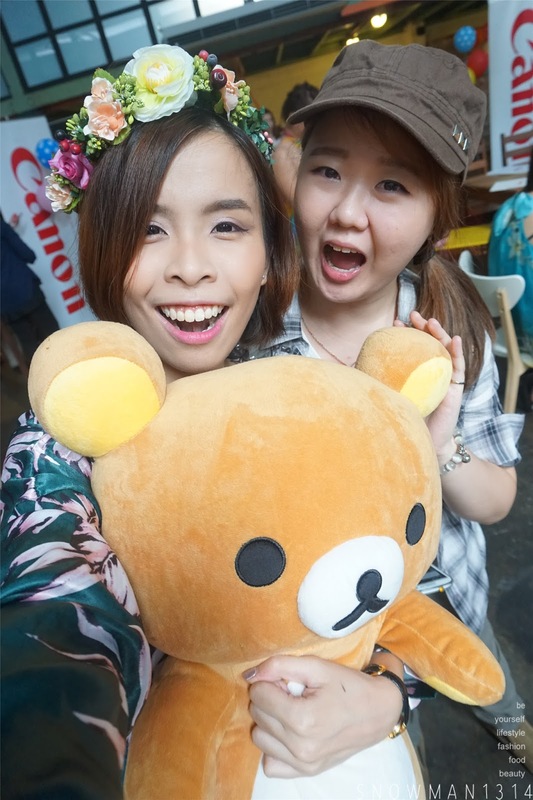 Secretly actually selfie with this real size Rilakkuma. How I wish I could bring him home. Next, we have some fun activities in this event. 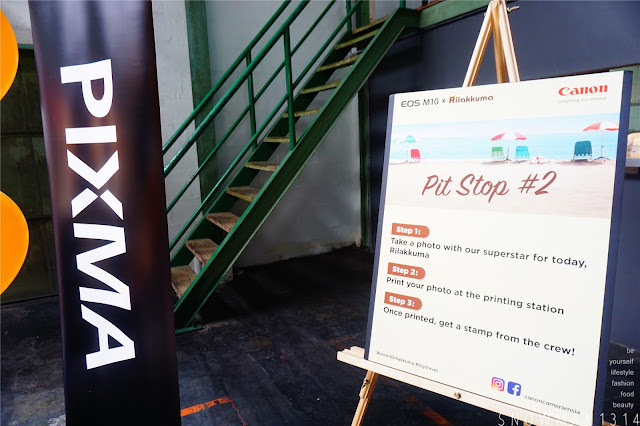 We just need to take photo in 2 pit stop, get one stamp after you have done the steps. In this first pit stop, we are required to get the props and take photo with Rilakkuma Plushie with a Beach Background. As if we are travelling with him. 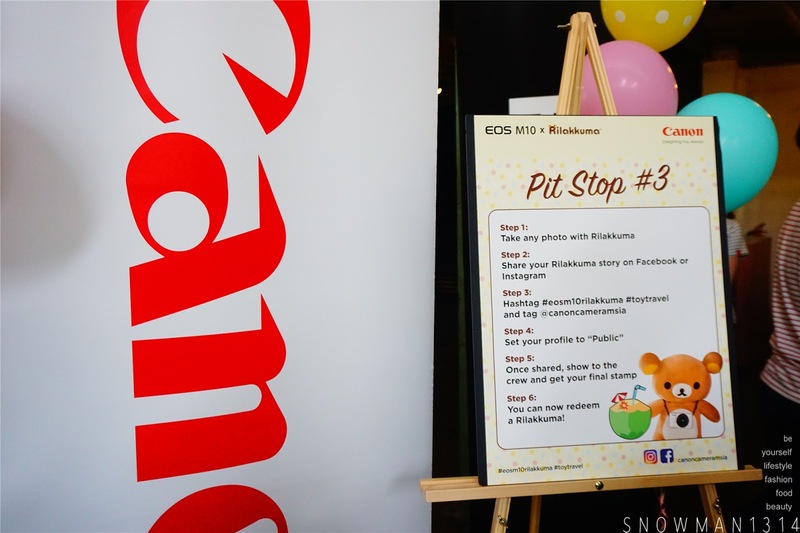 Pit Stop 2 we are required to take photo with Rilakkuma while we are enjoying our drink. 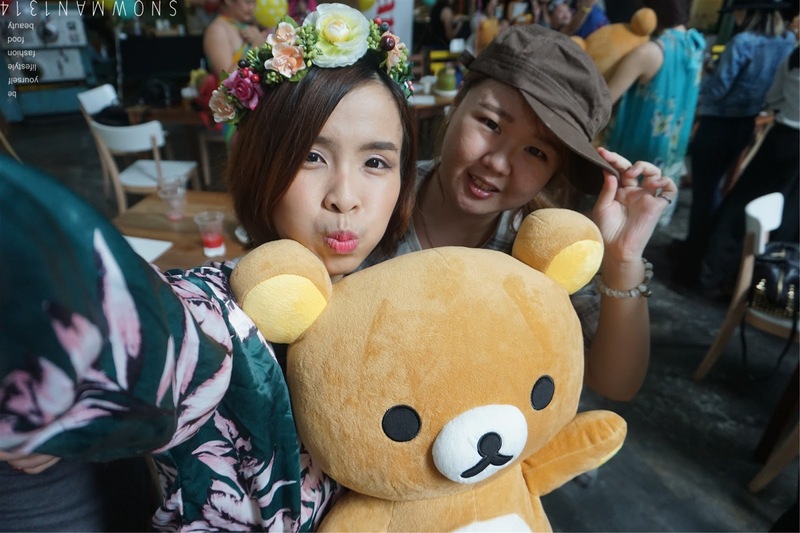 Last step, you just need share the photos you take in each pit stop with the #eosm10rilakkuma #toytravel. 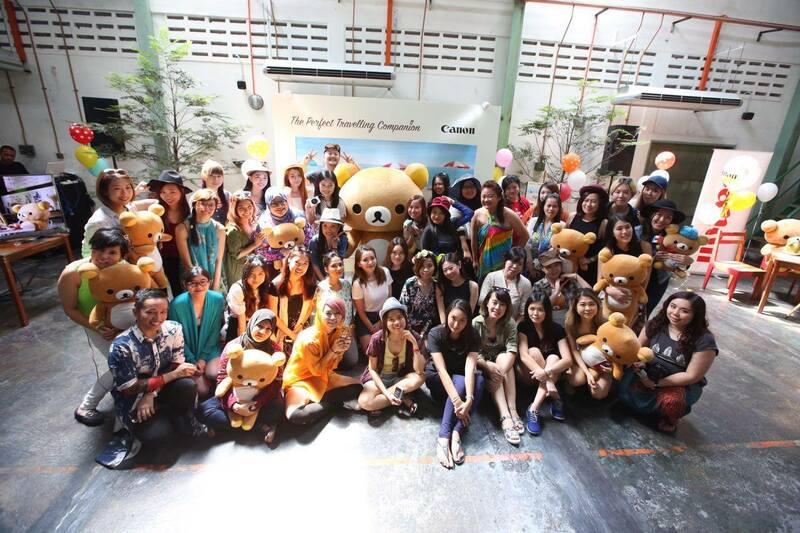 Sorry this is how much both of love Rilakkuma. Can't stop selfie ing with RILAKKUMA! We even have our group photo with Rilakkuma printed out to all of us who join this event. 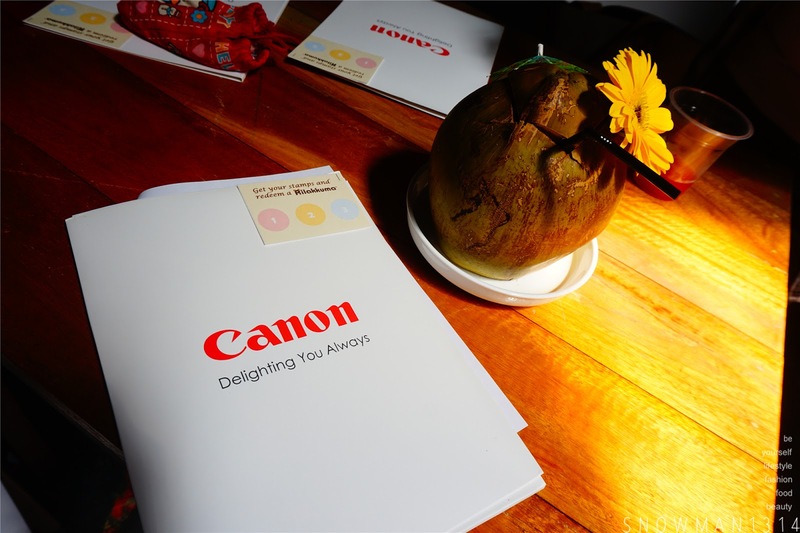 Thanks Canon Malaysia! Not forget my Babe Rebecca and Bowie is here too! 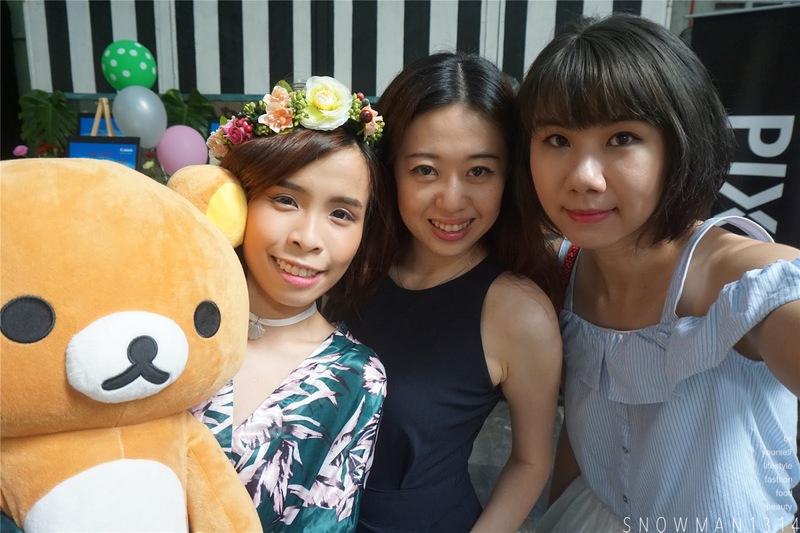 Winners for the Best Outfits and Lucky Draw! 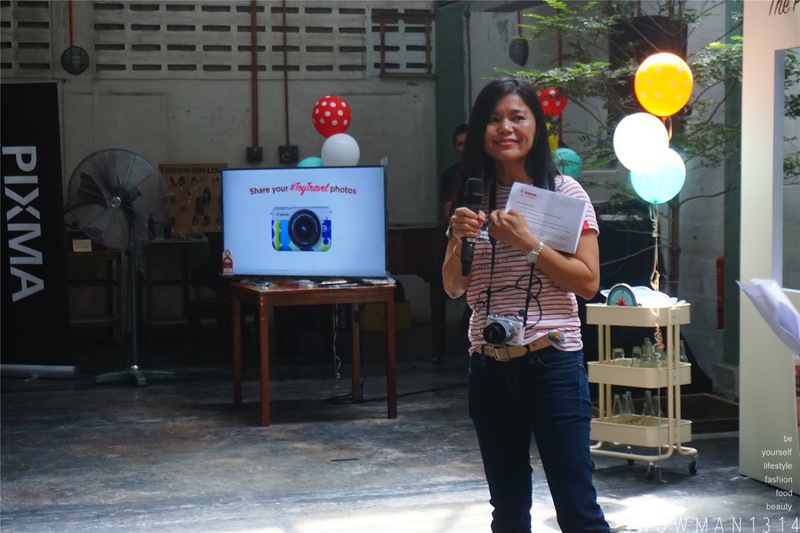 Congrats my sweet babe, Juneci win herself a compact camera by Canon Malaysia. 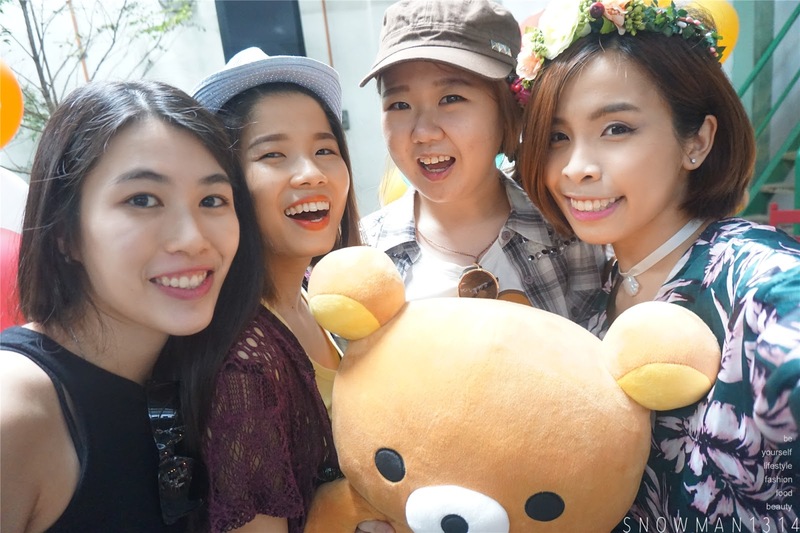 Not forget, we got to take photo with this really cute real life Rilakkuma as well. Back to the question. What exactly is ToyTravel? 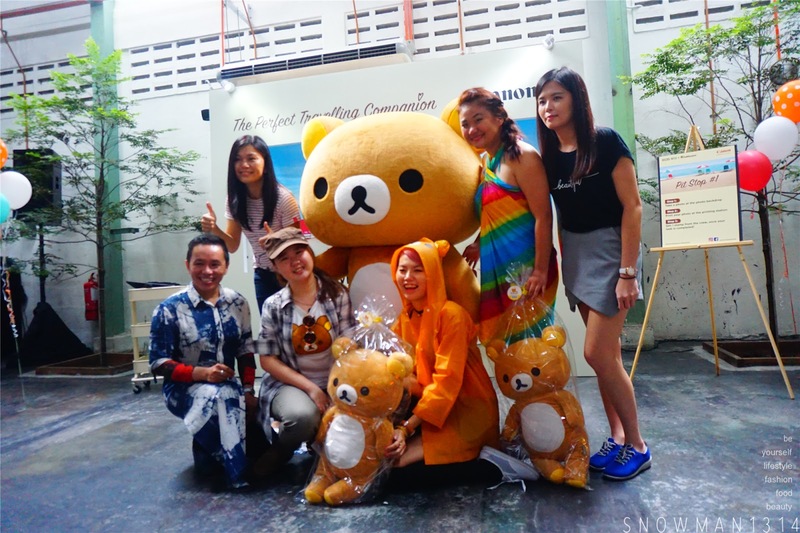 Nui-Dori or more commonly known as ToyTravel is sweeping the world off its feet. ToyTravel is the art of photography where toys imitate life. 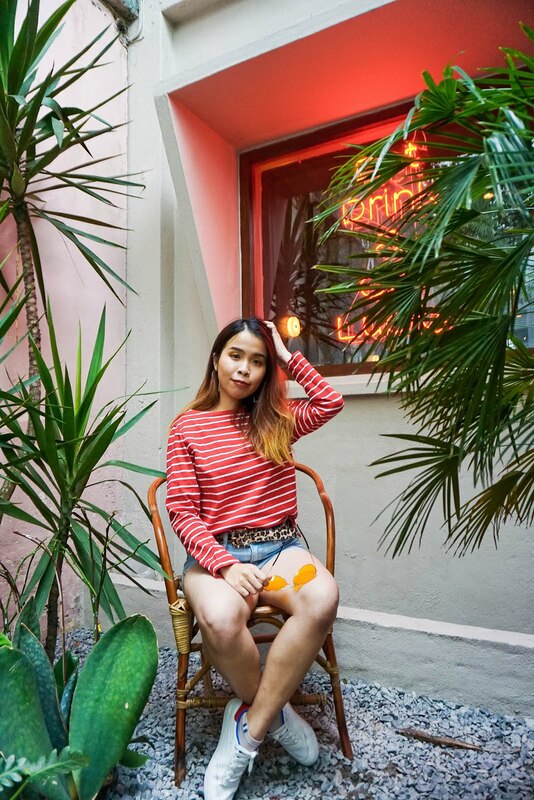 Its common for social media users to inject creativity and fun into their everyday adventures with a preferred animated object - from a figurine in a bowl of cereal, to a stuffed toy strapped into an airline seat; possibilities are endless. Now with the Canon EOS M10, you can empowered to share stories of your travels and adventures through high quality photos. Now here's the fun part with this new collaboration with RilakkumaXCanon. 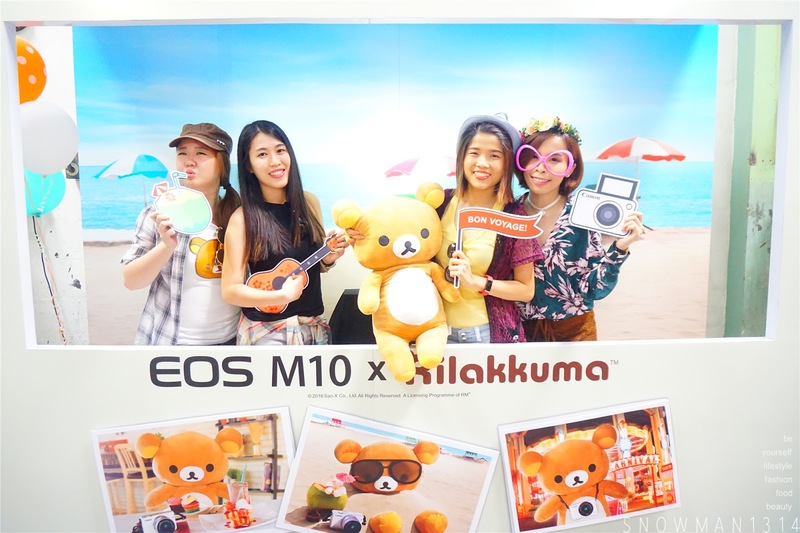 They have launched a #ToyTravel Photo Challenge where participants are required to incorporate different contest themes into their photos and the winner of each theme stands to win an EOS M10 Kit(EF-M15-45mm) along with a 24cm Rilakkuma plush toy. 2. Take a picture according to the theme using your favorite toy with the hashtags #EOSM10Rilakkuma and #toytravel, post them on your Facebook/Instagram profiles. 3. Remember to set your profile/post to public. 4. There will be a total of three themes for this contest. Every theme will announced on the first week of the month. The winner will be announced every end of the month. 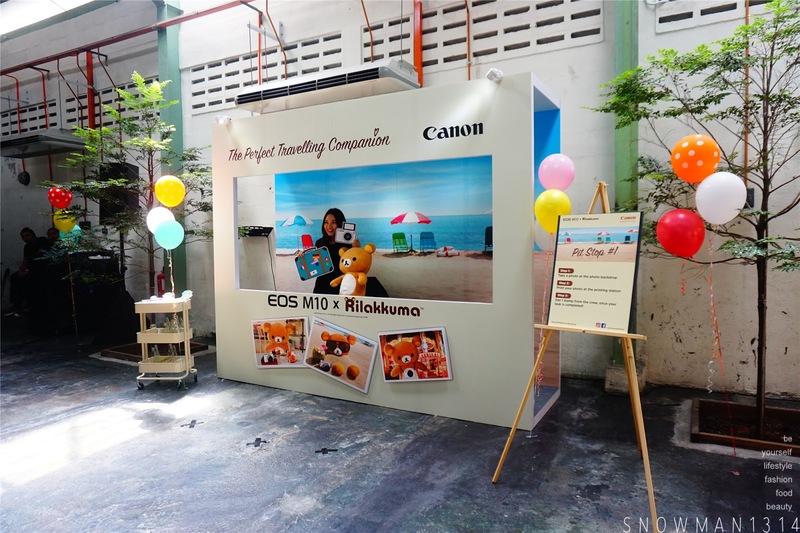 For more details, please visit https://snapshot.canon-asia.com/toytravel. The EOS M10 is the newest addition to Canon's EOS M range of high performance mirrorless interchangeable-lens cameras. As the most compact and lightweight in the series, EOS M10 is the perfect camera to bring along on all types of adventures! With its large 18.0 Megapixel APS-C sensor and fast Hybrid CMOS AF II system, users can now capture excellent quality photos of spontaneous moments with no more missed opportunities. Designed for perfect selfies, the Self Portrait mode features a one-touch beautification shortcut that offers a skin smoothing effect. Its Wi-Fi feature also allows seamless sharing on multiple social media platforms. With optional jackets(sold separately) in a range of striking colours such as classic Navy, a sweet hue of Pink, whimsical Aqua and monochrome Border, users can now style and customise the camera according to their fun personalities. Sayang dear! I agree that this is an awesome event!! 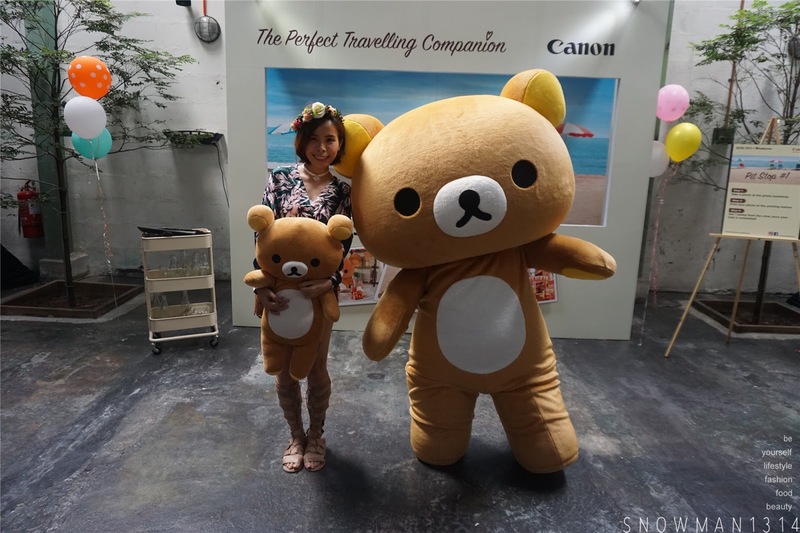 Rilakkuma is very cuddly - especially the big one. Nice meeting you at the event. 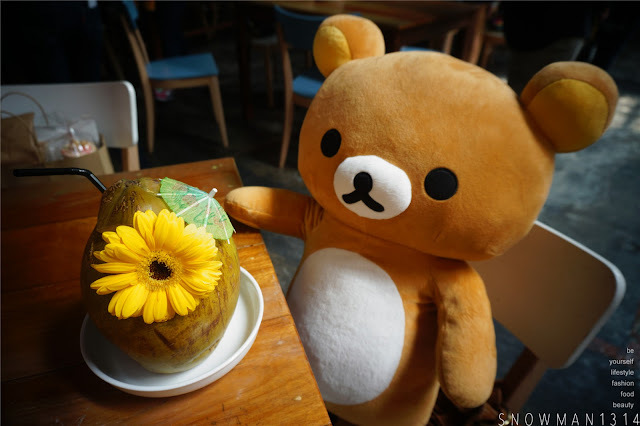 I love the Rilakkuma. Will get my Canon camera soon. 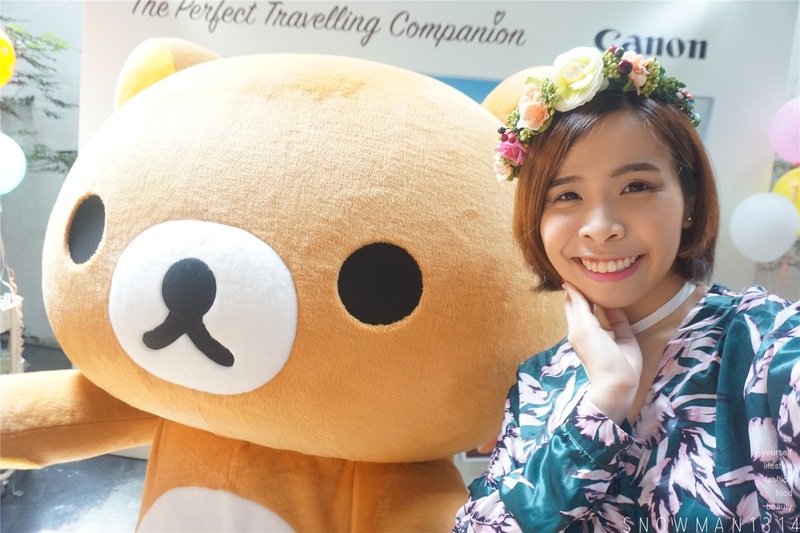 Rilakkuma is so cute! can't believe that the technology is so advanced nowadays - we can have 18 Megapixel camera. thinking back the old days we only had 6 - 7 megapixels. lol. It was, now we can just rely on Mirrorless camera to achieve high quality image for now! So sad I missed the event :( The rilakuma toys look so cute! 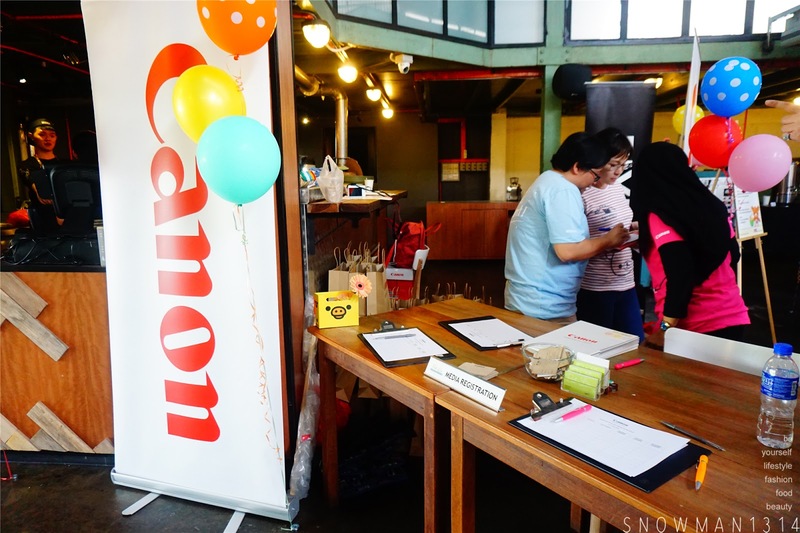 A lot of bloggers had joined this Canon event, I hope that I able to join this kind of event next time. By the way, I love your outfit. Nice to meet you there, it was a fun event. What a fun event this looks like. I'm definitely joining the contest as I have been travelling with my toy for a long time! You should =D Good luck dear! 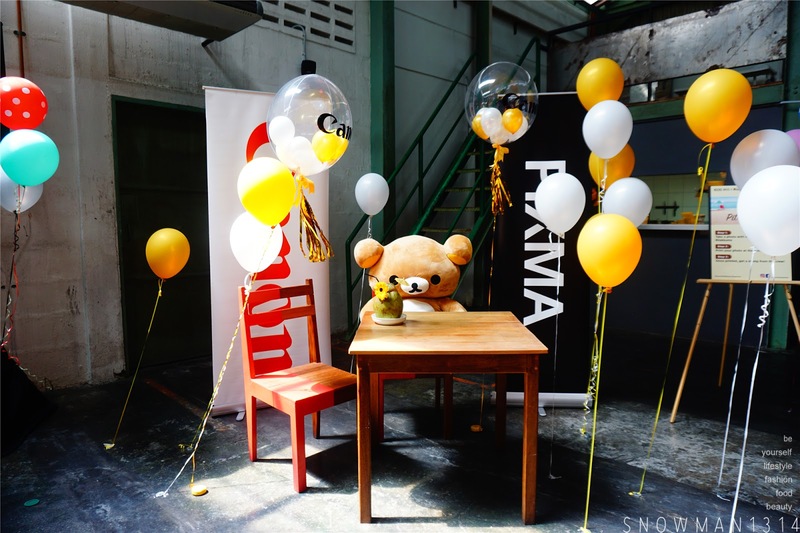 Awww rilakkuma so cute! What do you think about the camera babe? Would you change yours? Currently don't have the extra budget to change now. Will continue mine until it was broken hehe! fun event and glad to see you there. Yes dear, definitely a fun event! Thanks Leona!! 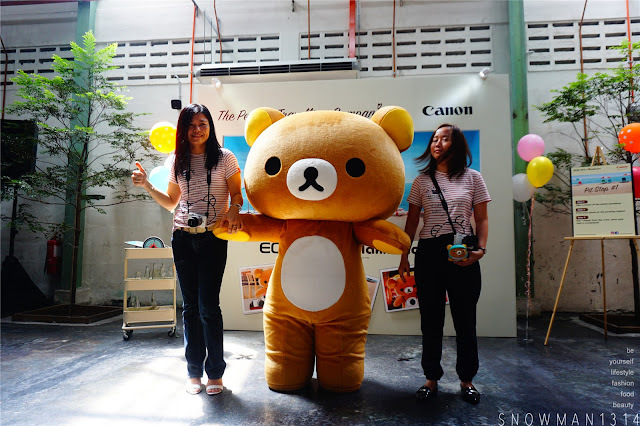 Yes the real rilakkuma is so cute! !